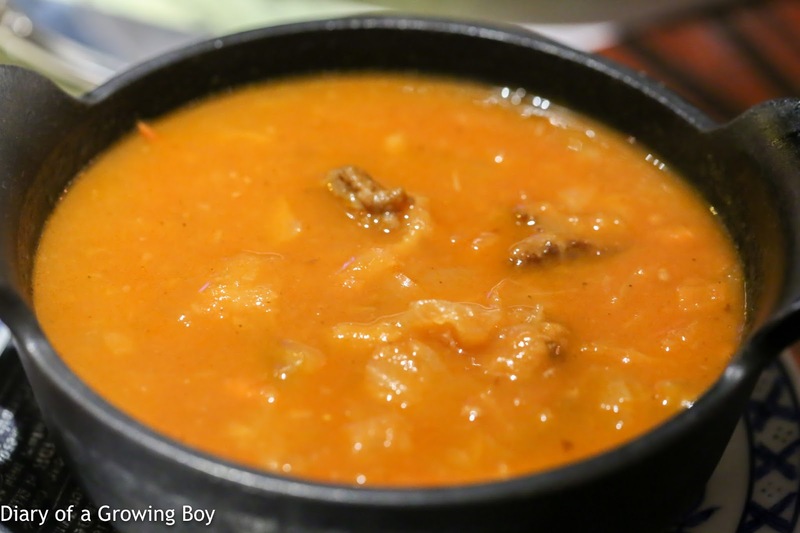 The Peanut Crew missed our scheduled gathering at the start of the year, so we ended up getting together tonight to try out the food at Lee Lo Mei (李好味) at the restaurant's invitation. We had been watching this place come together for the last couple of months, and waiting for the chance to dine at a restaurant with such a cheeky name. 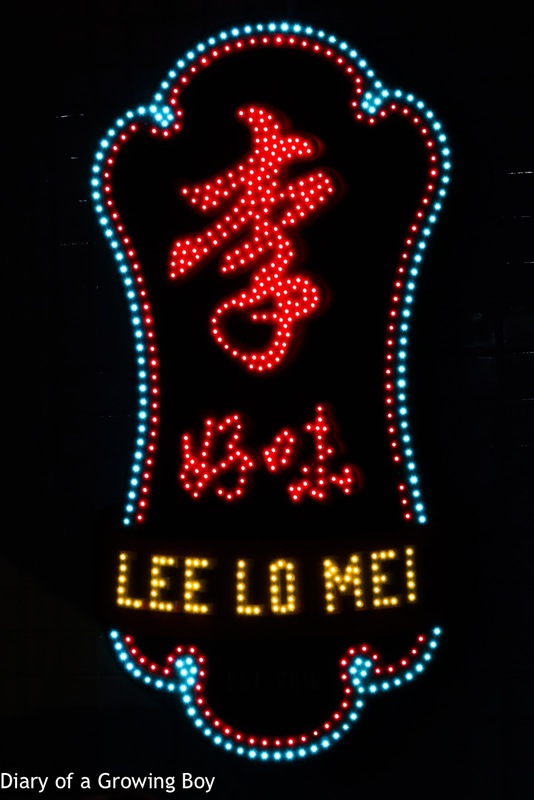 In Cantonese, "lee lo mei" sounds like the way someone would greet your mother - only not exactly in a polite way... The owner, though, chickened out and decided on a more civilized Chinese name for the place. 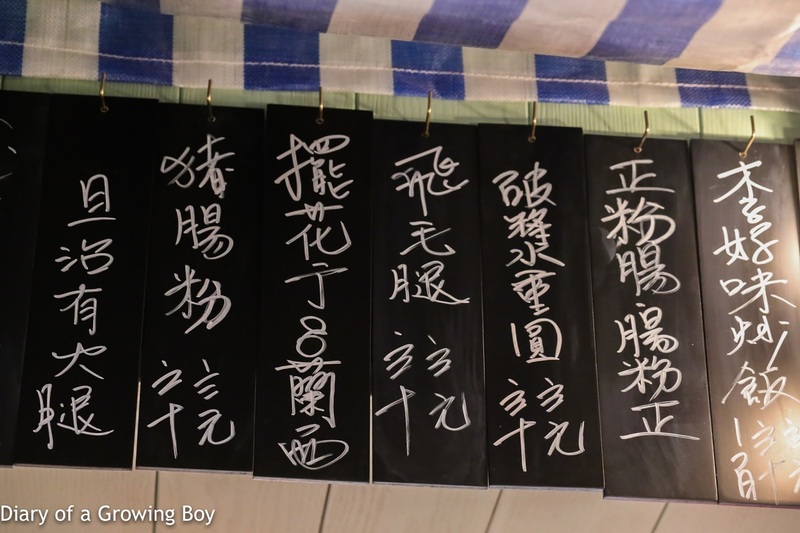 The place is meant to evoke the street-side daipaidong (大排檔) eateries of bygone days. The government has been trying to kill off the daipaidong culture for the last couple of decades, by offering to buy back existing licenses and prohibiting their transfer until a few years ago. The end result is that there are only a small number of daipaidong stalls still in operation. But the food that used to be served by these hawkers remain popular with the people, so it made sense that these dishes would show up on the menus of proper restaurants. Chef Joe Lee was Harlan Goldstein's right hand for many years, so we know the guy can cook. This would be the first time for us tasting anything Chinese from him, and I was definitely curious. The menu was pre-arranged for us, and I ordered a couple of cocktails to go along with the food. The names of the dishes here often involve some sort of pun, which makes things a little interesting. "Lee's" brine platter (李鹵味) - OF COURSE we can't come to a restaurant called Lee Lo Mei and NOT have the dish pronounced the same way! 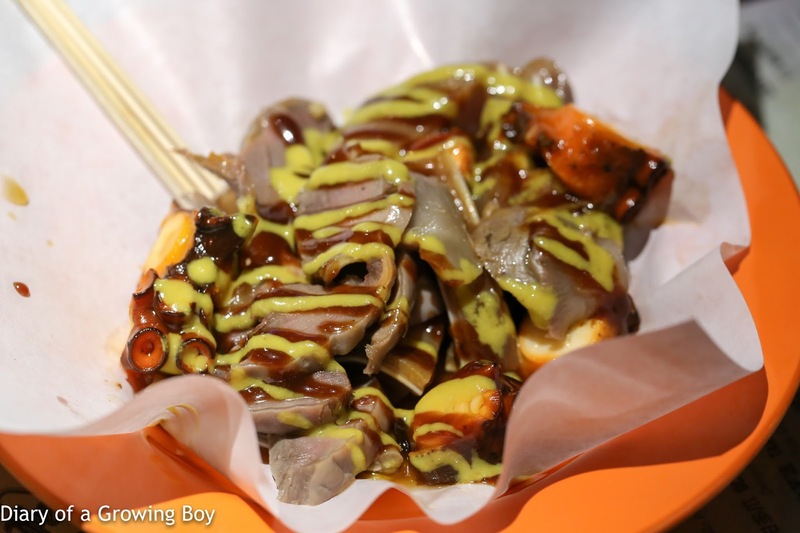 The chunks of Iberico pig's ear, octopus, and turkey gizzard were brined for 24 hours, then served with yellow mustard and sweet sauce. 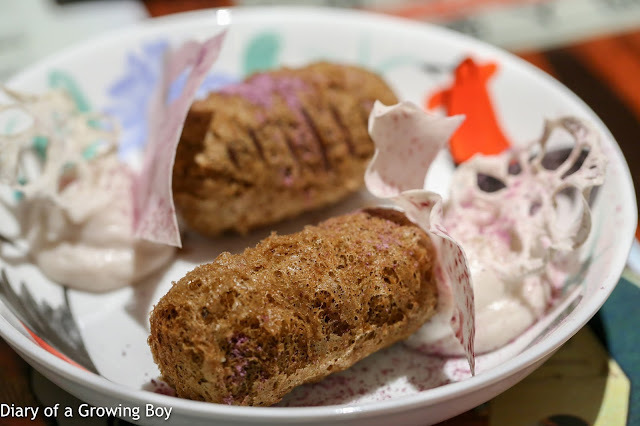 Taro dumplings (四大芋法) - there were little chunks of confit duck leg and foie gras mixed with taro mash, then encased in a layer of crispy, deep-fried taro mash. With the addition of wafer-thin taro chips along with some taro-flavored cream that tasted of coconut, there were four different textures of taro in this dish. Pretty tasty. Shame about the taste of baking soda so often found in deep-fried taro dumplings. Jade Garden - aaaaand OF COURSE I only order girlie drinks! The cachaca and calamansi juice were pretty obvious, but the pandan green tea flavors were less prominent. 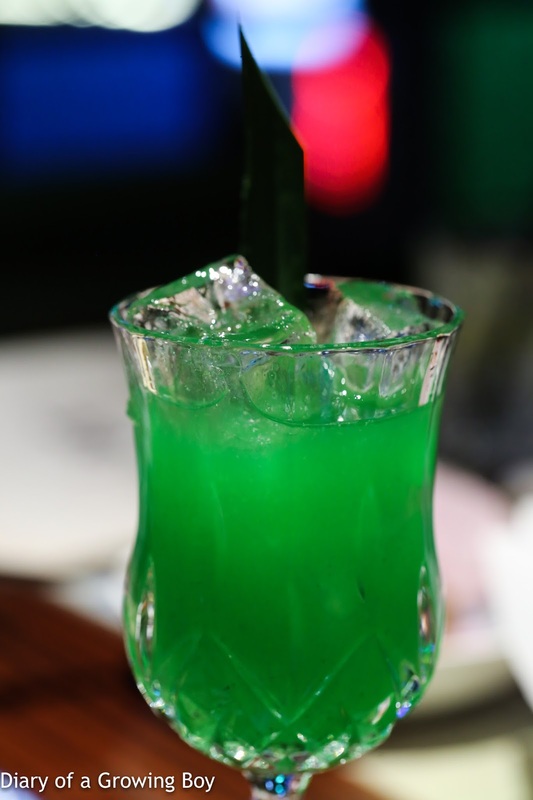 A little on the sweet side thanks to the pandan syrup. 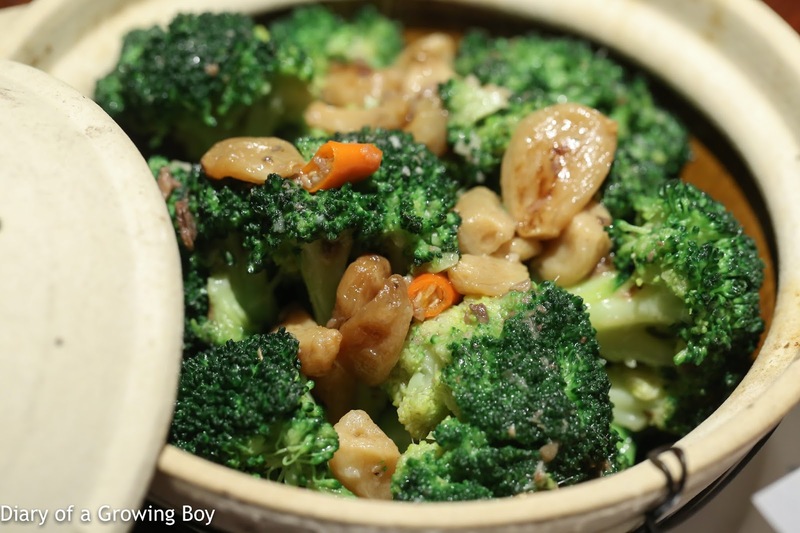 Seasonal vegetable (咪扮上菜) - a simple dish of stir-fried broccoli with garlic and chili. "Ho fun" in H.K. 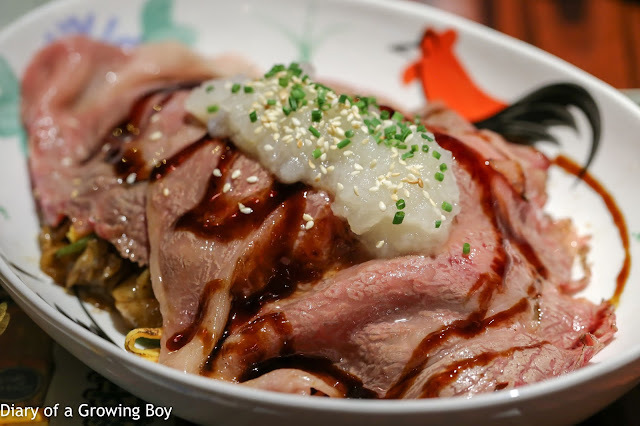 style (牛魔王過河) - unlike the usual version of 干炒牛河, this plate of noodles came covered with large, thin slices of A4 wagyu and topped with some cooked turnip purée. This was very, very good. 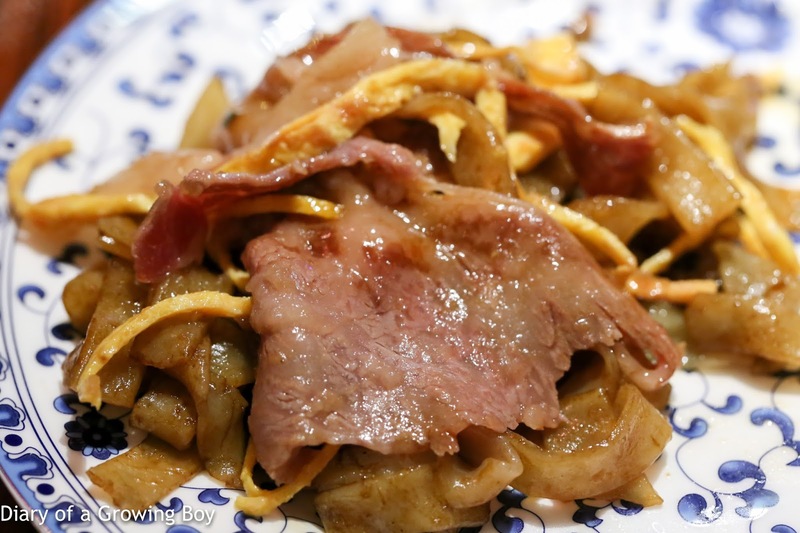 Needless to say the beef was very silky and tender, while the noodles were stir-fried at high heat for their wok hei (鑊氣) - they called it "wok air" here. The flavors were a little on the sweet side, but that's just fine by me! 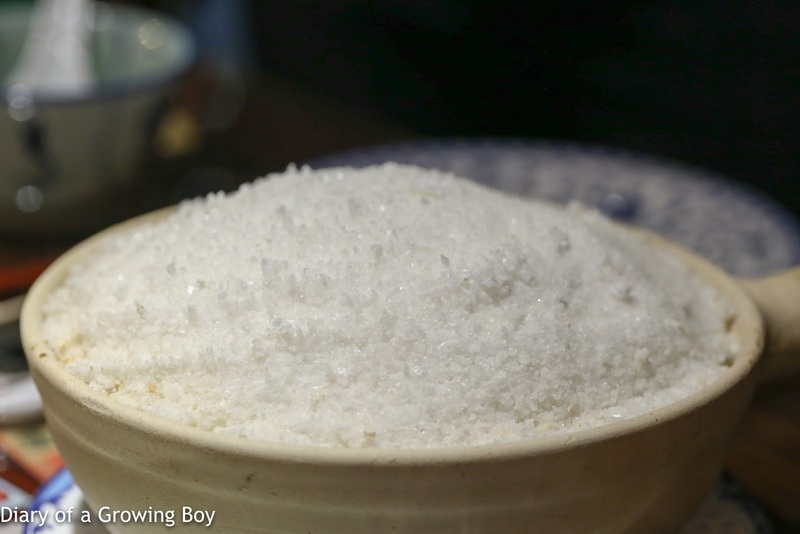 "Full of rice" chicken (鹽焗有米雞) - the chicken had been baked under a blanket of salt, which was subsequently removed. 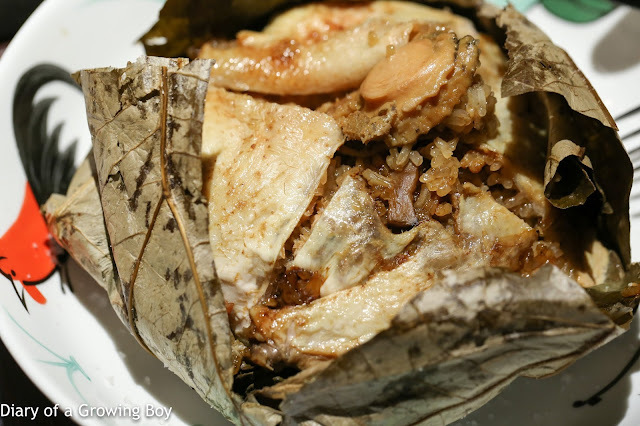 The chicken was wrapped in lotus leaves, and stuffed with glutinous rice. There was also an abalone on top. 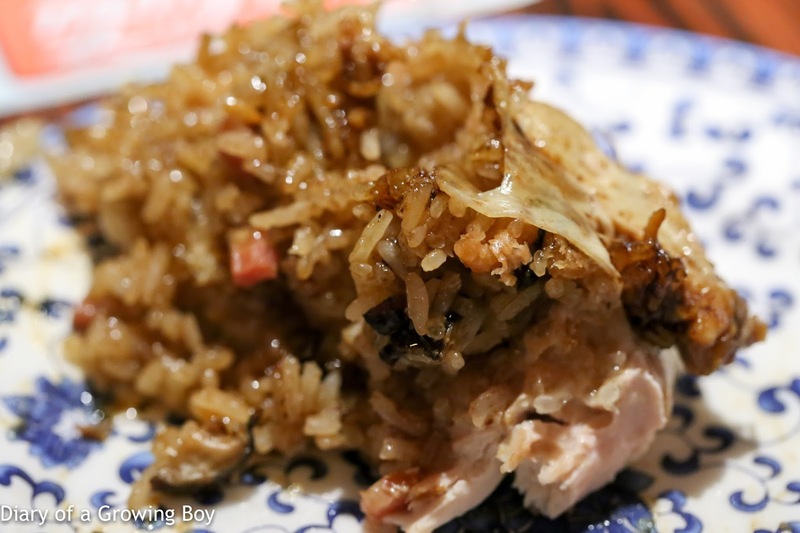 Very tender chicken with delicious glutinous rice. Yum Cha - oh yes, ANOTHER girlie drink! This one, though, was surprisingly dry on the palate... even though there was supposed to be honey and Choya umeshu (梅酒) in the mix. 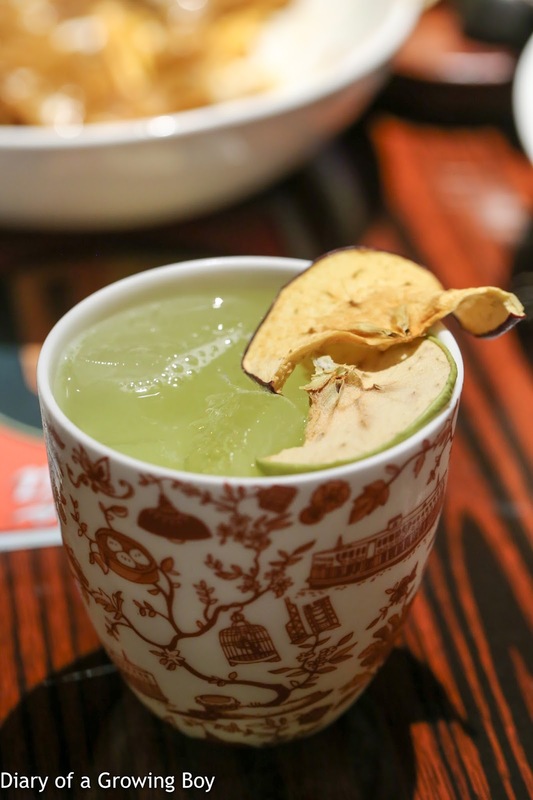 The pear from Grey Goose la Poire, the jasmine tea, and the apple sour stood out a little more. 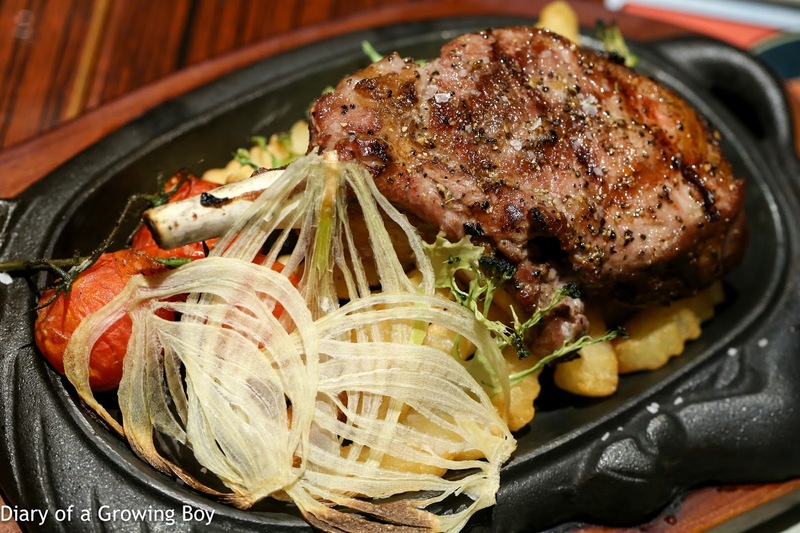 Steak on sizzling plate : Iberico pork chop (煙霧彌漫之肉雖鐵板上:伊比利亞豚美人) - the presentation was strictly old school, coming to the table on a sizzling hot plate in the shape of a cow. How nostalgic! Then thick, black pepper gravy was slowly poured on top of the pork. 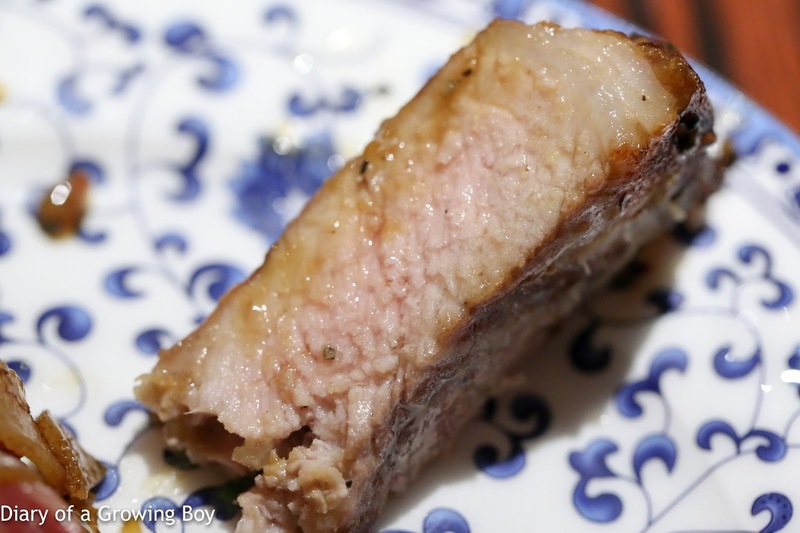 There was a strip of fat down the edge that provided some delicious flavors, but the pork chop was a little on the dry and chewy side. Borscht (羅宋湯) - apparently this came as a side to the beef noodles. Not bad at all. 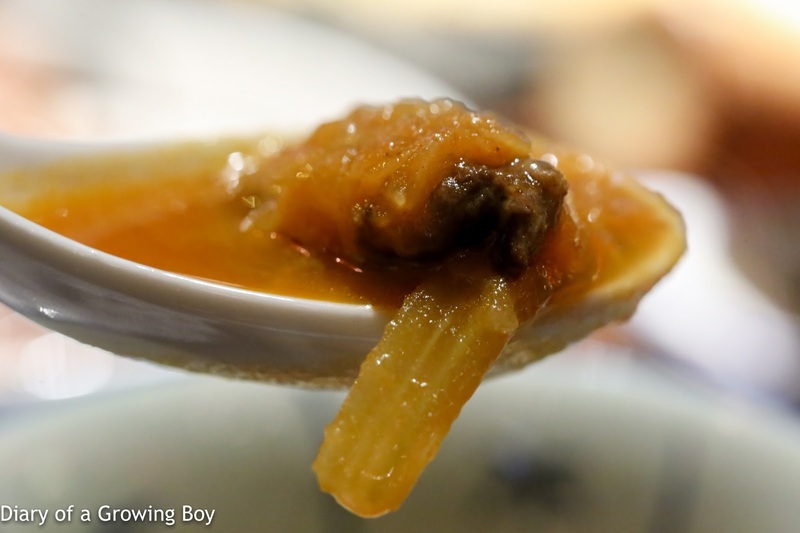 Salted egg yolk claypot rice bowl (咸咸濕濕豬頭炳) - this just looked BEAUTIFUL. 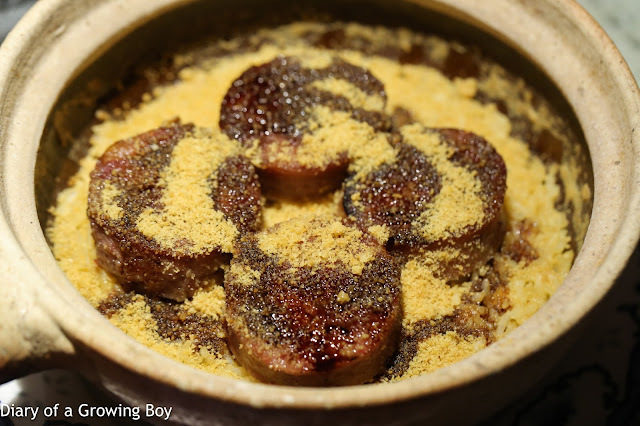 Chunks of pig's head cheese sausage, drizzled in sweet soy sauce and covered under a blanket of salted egg yolk powder. Once it's been mixed, each mouthful delivered the savory goodness from the salty egg yolk along with soft, fluffy strands of pork jowl. 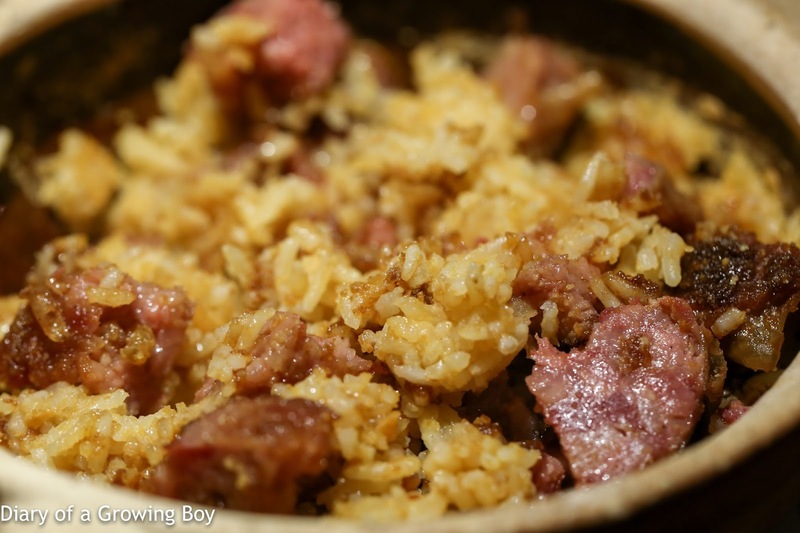 The rice absorbed some of the flavors and balanced everything out. I'd be happy just eating this. Black (黑) - this was all black sesame... in seven different ways. 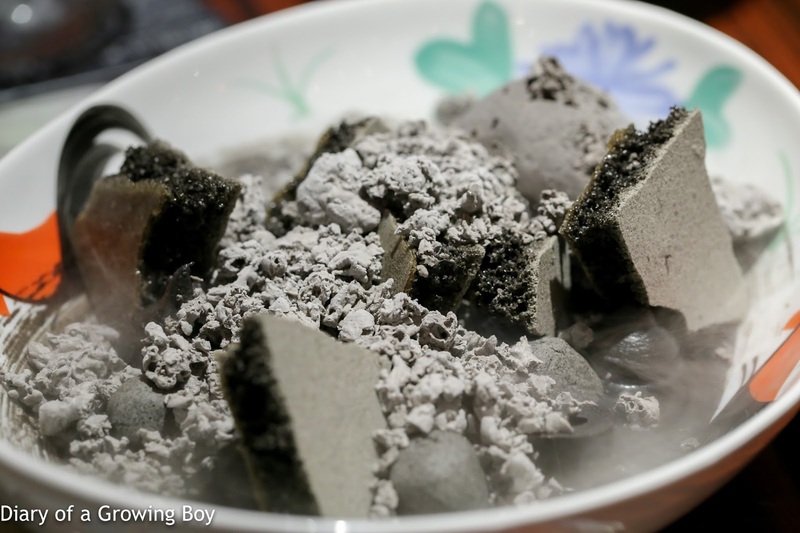 Apparently the seven different forms of black sesame were: stone, ice cream, rolls (also known as "film (菲林)" in Cantonese for their resemblance to old rolls of camera film), meringue balls, stone, sauce, foam, and ganache. Very, very good. Black sesame flavors were very strong, and the level of sweetness was just about right. 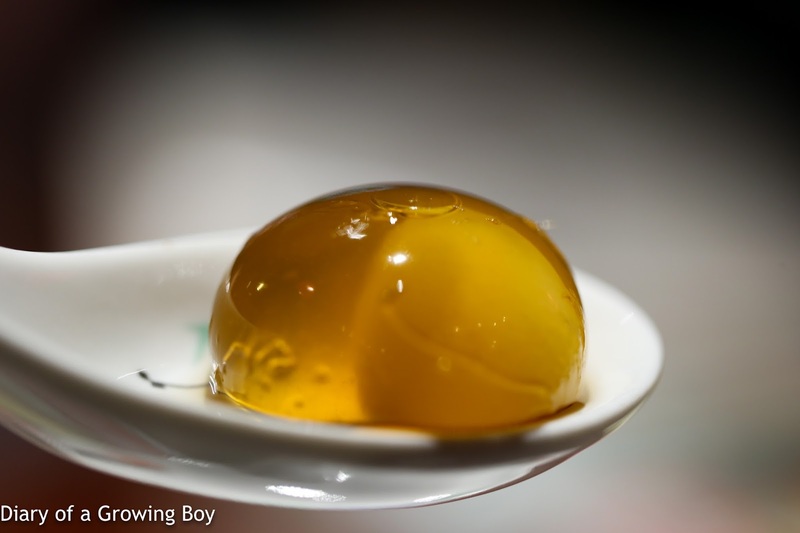 Sweet rice dumplings (破漿重圓) - this was VERY good. 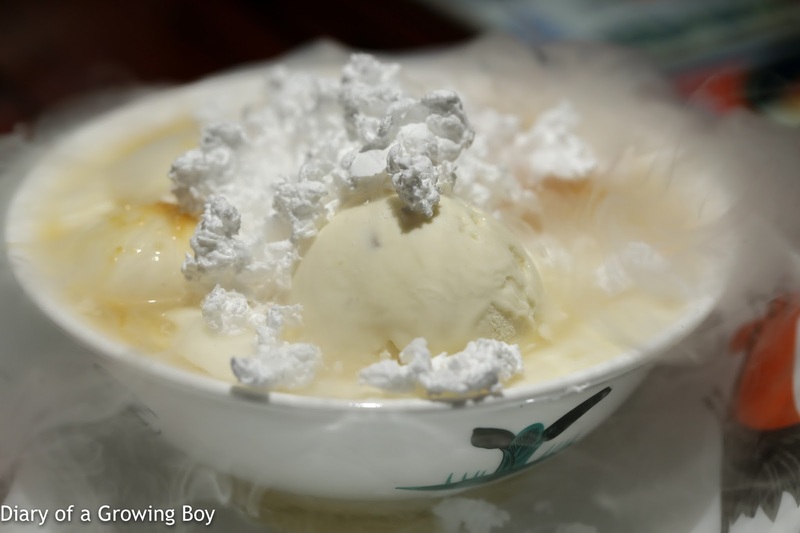 The molecular version of the traditional Chinese dessert, here you've got the glutinous rice dumplings completely encased inside a ball of ginger-flavored soup. Applying pressure on the ball with one's teeth break the thin membrane, splashing the strong and spicy ginger soup across the taste buds. This was a pretty good dinner. Before dinner started, we were joking around that we would be saying "lei ho mei (你好味)" at the end if the food tasted good, and "lei lo mei (你老味)" if the food sucked. Well, I think we can all agree that this was the former! Many thanks to The Forks & Spoons for the kind invitation.